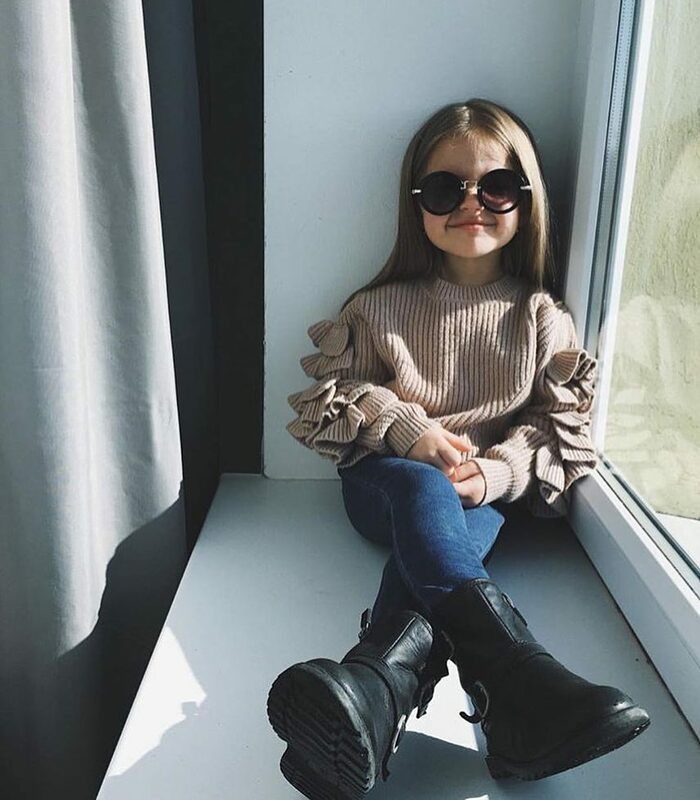 Your little girl can look awesome during fall season days, all you need is to buy her some trendy clothes. Here we see a cool casual outfit consisting of rounded sunglasses, a ruffled sweater, blue slim jeans, and black leather ankle boots. A stylish combination for cute girls.